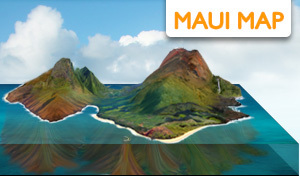 Maui County is world famous as the destination for the Pacific Northwest humpback whales. Their migration crosses 3,100 miles of ocean each season. 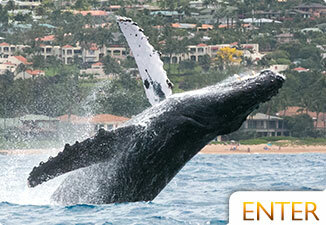 The humpback whale season in Maui lasts from November to May of every year. These huge mammals travel between 3 and 9 mph at over 1,000 miles per month without stopping. Humpbacks make this journey in groups called pods that congregate for a couple days at a time. The pods stay together loosely and break apart, with the exception of the calves and mothers. 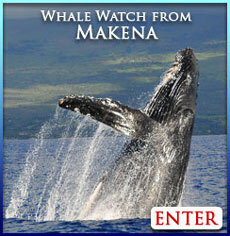 If you're interested in whale watching in Maui, choose from this Maui Whale Watching Directory. 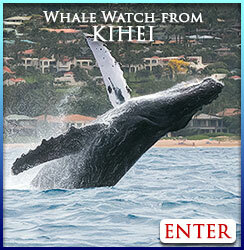 The exciting surface behaviors of Humpback whales draw scores of whale watchers every year to Maui. From lobtailing, head slapping, spyhopping, and pectoral slaps, Humpbacks are well known for giving us all a show. 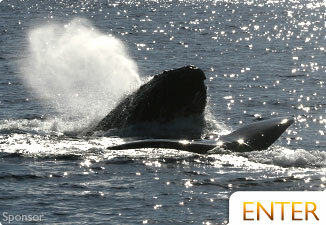 The most spectacular of whale activity in the winter months around Maui is the whale breach. A whale breach is when the Humpback launches 3/4 of the way out of the water and comes back down with an enormous crash. Some believe that they do this to knock off surface skin parasites, and others believe it's a social behavior. 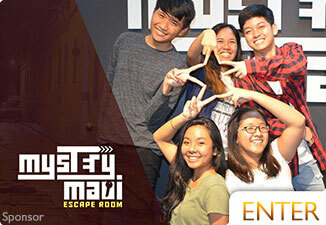 The most common belief is that they breach for fun. This is obviously the best answer when you see how often the newborn Humpback calves partake in the activity. 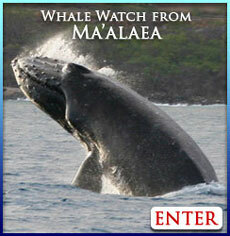 If you plan on going on a whale watch tour in Maui, you most likely will see a breaching whale. At the very least you'll witness some other exciting surface activity. 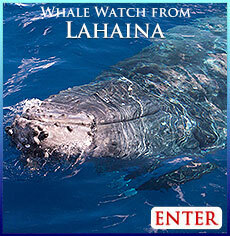 See our recommended tour for whale watching in Maui. 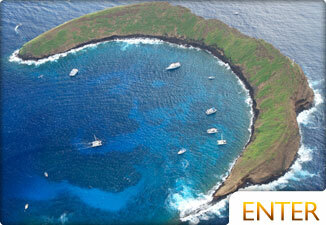 Dr. Adam Pack recently proved that Humpback whales can dive depths of 1,000 feet, depths that they reach even in Maui. The longest down time was clocked at 55 minutes in Southeast Alaska. Competitive groups have been observed at 21 knots in 2007 for more than 20 minutes. The North Pacific humpback whale population is estimated at more than 20,000. Globally, the estimate was around 100,000 until whalers dramatically lowered the numbers. 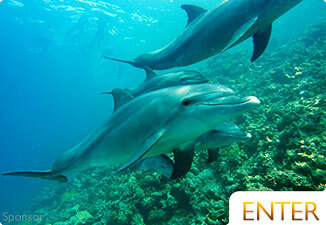 They reside in the North Pacific, Southern Hemisphere and North Atlantic. With such small numbers, the humpback is endangered and has special laws to protect its species from extinction. You'll notice these laws in effect when on whale watching tours in Maui. Boats are not allowed within 100 yards of any humpback whales. The only exception is if the boats engine is turned off, and the whale comes to the boat. Some vessels have been known to be stuck for hours in one spot due to a curious humpback whale. This can be an incredible experience, unless you're in a hurry. But if you're in a hurry, you came to the wrong island. These highly developed creatures have elaborate songs that evolve from year to year. Each year, the male whales will sing the songs all over the world. Each population sings their own song. North Pacific, Southern Hemisphere, and Eastern seaboard humpback whales all sing their OWN songs. But all whales within their group sing the same song. 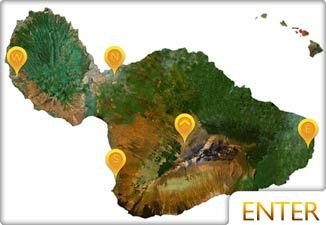 See: Dr. Jim Darling, Maui studies. When the next year comes, the humpbacks will have created a new song. Humpback whales are the most imaginative, loudest and hold the largest range of frequencies with their music than any other whale species, even topping Mariah Carey. Maui Humpback whales hunt together with different strategies of rounding up plankton. 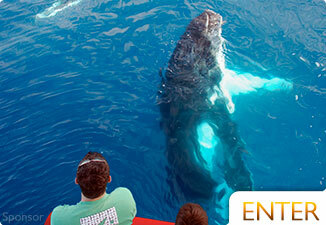 They eat around 5000 lbs of krill, plankton, and small fish per day. According to Dr. Fred Sharpe, the large whales in the North consume about 1-2 tons daily of capelin, sandlance, herring, scad, sardines, small salmon. The smaller animals eat krill (Euphausid shrimp). When in cold waters, humpbacks eat seasonally for approximately 120 days of each year. In Maui, the warm waters do not allow for this type of prey to live. This being said, with Maui's shallow warm waters, it's a possibility that humpback whales would be permanent residents if it weren't for the lack of food. Can you blame them? Special thanks to Katie Grove-Velasquez for her research and educated insight. We suggest shooting with something that has a fast shutter speed. Make sure your settings allow for multiple photos at once. Using a camera that is slow to take a picture will leave you with a whole lot of photos of plain ocean. A zoom lens can be nice on a flat day, but when things are bumpy, you might want something else. Whales come out of nowhere and are sporadic with their surface activity. Find a steady spot near a railing and be ready at all times. We find that they breach when we're least ready for them. 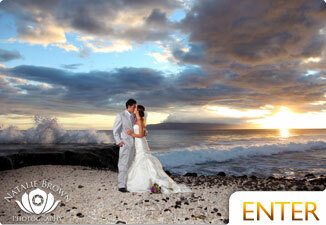 Give Hawaii Photo Rental a call and ask them what gear you should use. They have pretty much everything you'd want. 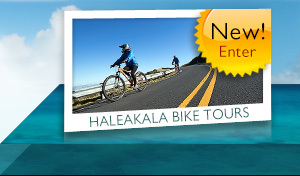 Learn more at Hawaii Camera Rental or call (808) 735-3838. 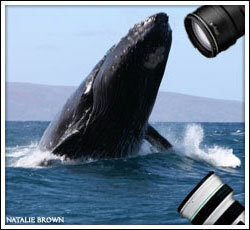 Whale Photography by Natalie Brown and other photographers. All Rights Reserved. Information about Humpback Whales in a fun infographic. Snorkeling, Sailing, Surfing, Scuba and much more.